A complement to yesterday's piece regarding the Wii U's future, today SuperPhillip Central is shifting focus to another struggling/doomed/dying/etc. platform, the PlayStation Vita. Like with the Wii U, there are decent arguments on both sides of the spectrum regarding why the Vita's future is up in the air. This is no doom and gloom piece. It is an attempt to be as fair as possible (note the word "attempt"), taking in account both viewpoints. Let's get the negativity out of the way first. - High prices for the system and memory card are still a stumbling point. 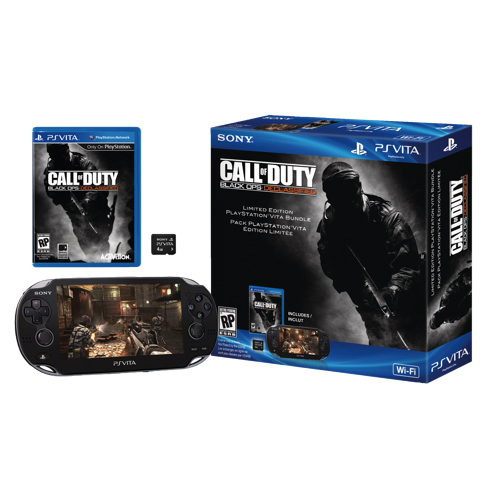 Let's face reality here-- the Vita's $250 price tag is a major hurdle for many consumers. The Assassin's Creed III: Liberation Amazon bundle from late last year was an excellent deal, and to me, it showed that plenty of people are willing to get the Vita as long as the price and value are reasonable. The main problem right now is that the user base is so low that third-parties are hesitant to release games on the Vita. This is a mirror image of the issue Nintendo is currently having with their Wii U console. Perhaps it is a Catch-22 situation where no one is buying the Vita because the games aren't there, but third-parties aren't interested in putting games on the Vita because the sales aren't there. Will the price remain so high that consumers don't buy the Vita, resulting in third-parties continuing to find little reason to support the system? That's the rub. - Software sales are generally low. Nothing can damn a platform, whether it is a home console or a portable, more than having low software sales. When third-parties see low attach rates or low software sales in general for a platform, they show massive trepidation in supporting it. We're seeing that right now with both the Vita and Nintendo's Wii U. The problem is compounded by the fact that in Japan, some software is selling, but it is only really selling to the preexisting user base. There is no true expansion of the Vita market. With no expansion, what hope does the Vita currently have in generating support? Sure, smaller, more niche developers will continue to support the system, but what about the larger publishers? 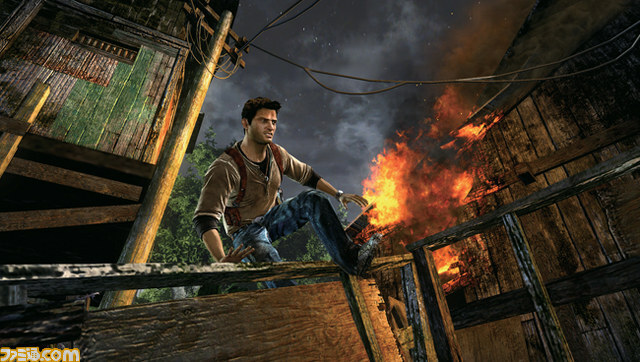 - Sony has had to lower their Vita forecast three times now. I doubt three times within the span of a year is a record, but it is quite worrying. By March 31st of this year, Sony now plans to ship worldwide 7 million PSPs and PlayStation Vita systems combined (source here). The sales forecast was once at 16 million combined, and then it was slashed down to 12 million combined in August. This goes back to third-parties. If the handheld is doing so poorly that Sony has to revise their sales forecast three times, what possible reason should publishers have for giving the Vita their support? It is my belief that unlike Nintendo, Sony most likely would not be able to support a handheld all by themselves, especially when they have a next generation console forthcoming. It makes for a situation that looks dismal, and right now there is no indication that it will get any better. - There is a great amount and variety of software, yet the platform still struggles. The last generation of handhelds was, in SuperPhillip Central's opinion, the best that the industry has ever seen. We have two great selling handhelds in the Nintendo DS and the PSP, and they both delivered an awesome library of games. You'll be reading more about that later this week. A problem here is that there is honestly plenty of interesting software for the system (Uncharted: Golden Abyss, WipEout 2048, Hot Shots Golf: World Invitational, Gravity Rush, LittleBigPlanet PS Vita, etc. ), yet hardware sales are still rather tepid, to put it nicely. This isn't like the Wii U where there really isn't much in the way of content to get consumers excited for the system. The Vita has a competent amount of intriguing titles out right now. 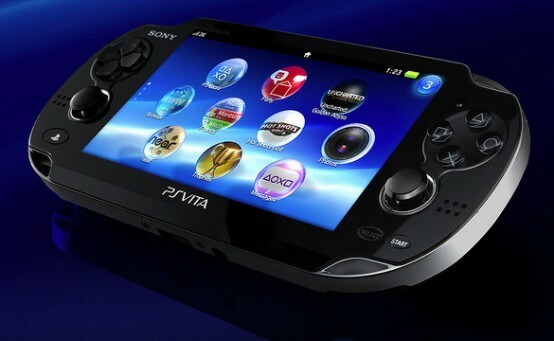 What can Sony do if a lot of their big hitters have failed to light up hardware sales for the Vita? I talk more about this later on in this piece. Now, let's get some good energy going on with why you shouldn't worry about the Vita's future. + Sony has admitted they have a problem. They say the first step to recovery is admitting you have a problem. Sony did just that this last month with Kaz Hirai stating that Vita sales are lower than what the company expected. Last week, Sony's Chief Financial Officer Masaru Kato noted that there's a lot that can be done concerning marketing the system. Certainly it is challenging to get people excited about your product if it has a small presence, and Sony possibly promoting the Vita better will surely get consumers to acknowledge the platform in a greater way. It's refreshing to see Sony admit their mistakes, but most importantly, will the company actually do something about their current problems? I believe they will, and hiring a new advertising firm for their North American marketing seems to be a start, but will Sony reach out more to third-parties and push for more software? Would third-parties listen? Will we see a desperate Sony pull "a Nintendo" and drastically slash the price of their struggling system? Would they be able to afford such a move? There is no one correct answer here, and that is important to note. + Sony's studios are very much invested in supporting the system. Nintendo has it where they have their strongest and most heralded studios not just working on their mainline home consoles, but they also work on plenty of handheld titles. It makes it appear that Nintendo cares just as much about its handheld legacy as they do their console legacy, and that's probably very true. It is terrific to see that Sony's premiere studios like Guerrilla Games and Media Molecule are taking the platform seriously. It is a drastic departure from the PSP where mostly only Sony's less prominent studios worked on the company's first-party software. 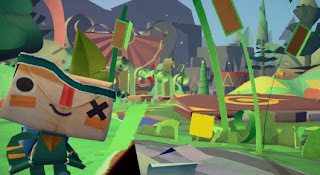 With upcoming software like September's Killzone: Mercenary and the charming and crafty adventure title Tearaway planned for release-- alongside whatever the future holds-- the first-party output for the system is looking quite promising. I just hope that continues. + Bundles, price drops, and new colors haven't been fully utilized yet. Bundles are always a great way to add value to your platform of choice. 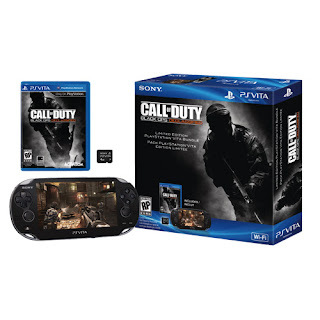 We've seen various Vita bundles in North America: one for Call of Duty: Black Ops: Declassified, one for Assassin's Creed III: Liberation, and one for Madden 13. These have been quite successful for Sony's Vita. If Sony continues to exhibit value to consumers, then their bundles will continue to sell well. It's important to note that the Vita is a pricey proposition to a lot of people. Sony has yet to pull the price drop card out of their deck. However, like I said regarding Nintendo, you have to be smart about when you drop the price of your hardware. Do it at the wrong time, and you will have an extremely short-term solution. I believe that you need to have a price drop at the same time you begin seeing interesting titles releasing on the system. Look at how the Nintendo 3DS dropped in price just around the time a steady stream of hit games starting rolling out. 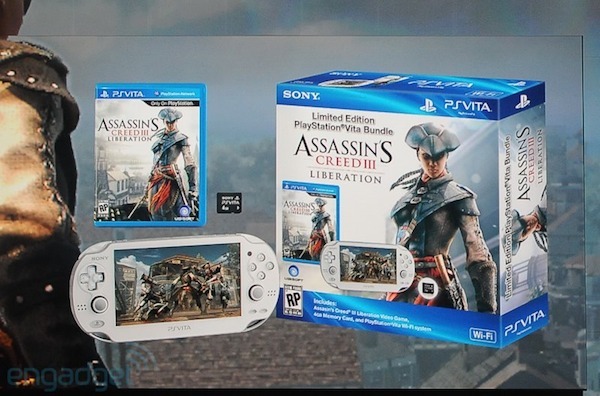 If Sony can pull the same scenario with the Vita, then I'm sure they'll have a long stretch of good luck and rewards. The final and more minor thing that helps boosts sales is different colors. Of course, if the system does not have the software that appeals to consumers, then you can have a veritable rainbow of color choices, and it will not matter. The point of all this, regardless, is that there are still many strategies and so-called "get out of jail free cards" that Sony can still use to turn the Vita's fortunes around. It is heavily rumored among gamers and the press that February 20th's PlayStation event will be the coming out party and reveal of the PlayStation 4. What I thought of that might help the Vita's development situation is if the PlayStation 4 has a familiar development atmosphere to Sony's handheld. Perhaps third-parties would find it easy to down-port PS4 titles to the Vita, due to the similarities between the two platforms, giving the handheld more support that way. Like with SuperPhillip Central's Wii U article, I am not saying that the Vita is going to fail, nor am I saying it will succeed. I am simply noting reasons why some may or may not be worried about the system's future. Join the discussion by posting your thoughts in the comments.